99.99% RESTORED! STILL MISSING A COUPLE OF PHOTOS-NEW STUFF COMING... ENJOY! 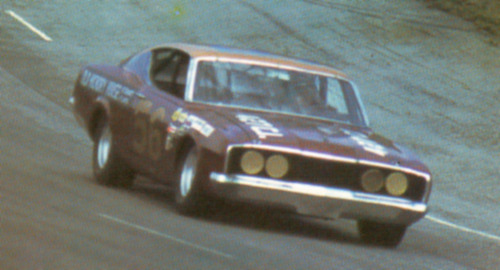 There were three basic Mercury Aero cars run: The '68 "W" front Cyclone, the Spoiler II, and the '70 1/2 Cyclone (or '71 if you prefer). 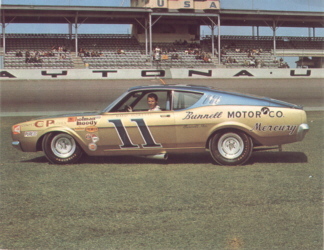 The "W" nose and Spoiler II were very similar to the Ford counterparts. 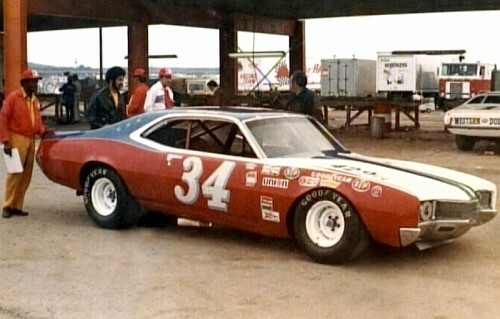 "W" nose=short nose Torino; Spoiler II=Talladega. 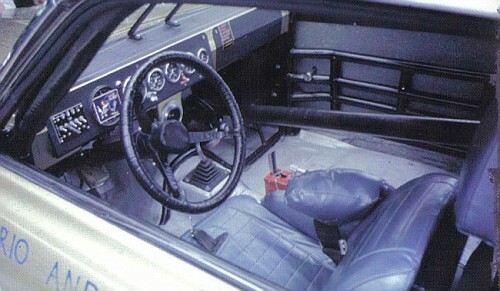 The Mercurys had three indentaions in the "C" pillar which the Fords did not have. 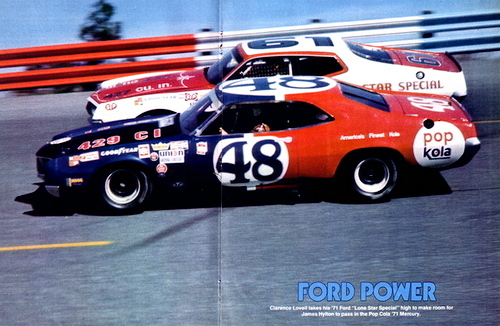 The grills/hoods were also different from Merc to Ford. 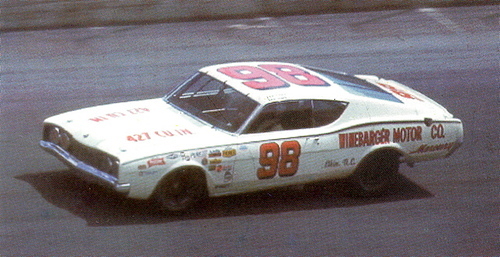 The '69 "W" nose made a return in '71 with a few teams when the Spoiler IIs and Talladegas were effectively banned. 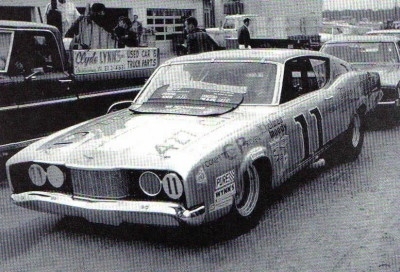 The Wood Bros. had the most "famous" '71 Cyclone. 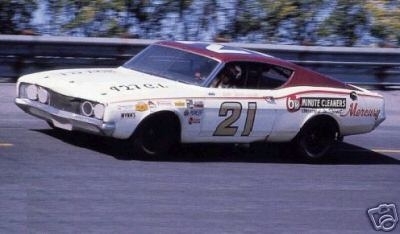 How about some pictures like the Torino "sticky" ?? Dark Side rules! Hey I invented the term. Character: It's who you are when no one else is looking! 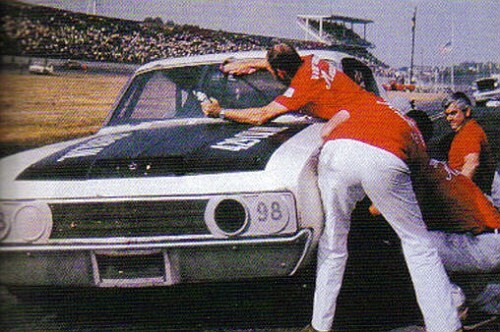 The Spoiler II was only legal in 69 & 70. The W-nose legal up through 71. 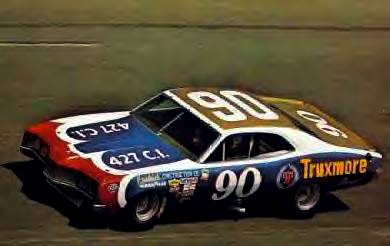 To be more specific, the Spoiler II was legal from the Atlanta 500 in '69 through the end of the '70 season. 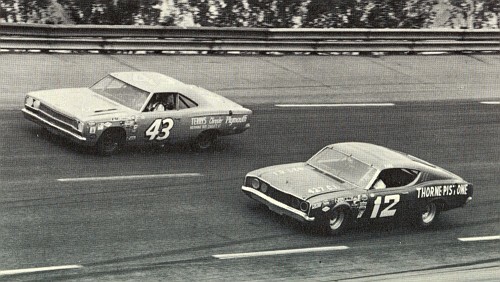 There were no Spoiler II's in the Daytona 500 or at Rockingham in the spring of '69, or the two short tracks between Rockingham and Atlanta. 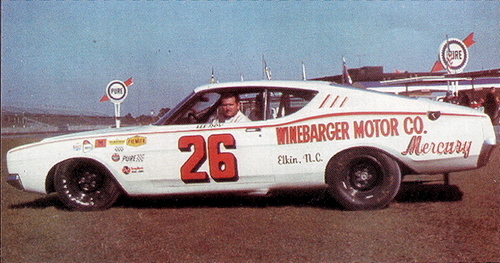 Atlanta was also when the Boss 429 was first used. Thanks for clarifying that Tom! It didn't even cross my mind to add that. Correct. 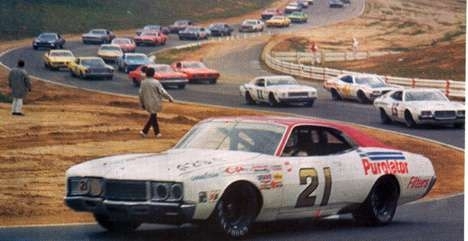 They also had a large parade of street Spoiler IIs before the Atlanta race before they were sent off to the dealers. There are some factory photos of that. Do you have those photos where you could post them? I'd like to see them if possible. I have the photos, but not here today. Will see if I can get a good one posted. Back in the day, I useta own 9H15M565839... sold it for $2600 to buy my '84 Firebird. Kid down the street bought it, put in a Holbrook 406 Windsor and tore up Telegraph with it a lot harder than I ever did. He sold it several years later to someone in Canada. Been searching the web to try and find the guy, but to no avail. “You're missin' the point. The success of the band was irrelevant - you raised their expectations of life, you lifted their horizons. Sure we could have been famous and made albums and stuff, but that would have been predictable. 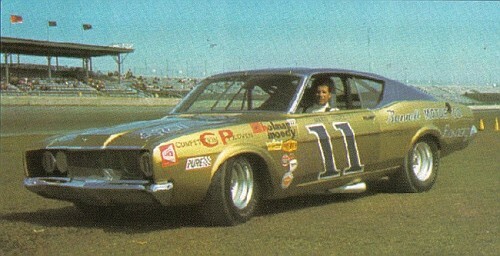 We have a couple of Talladega/Spoiler II owners on the board, maybe someone who's in the club (Marc, got your ears on?) can see if the VIN is in the registry. I have the registry as it was published several years ago. I can check at home, but if Aero426 is around he might can get the info quicker, plus he would have the most recent infomation. I'll be glad to look this evening. 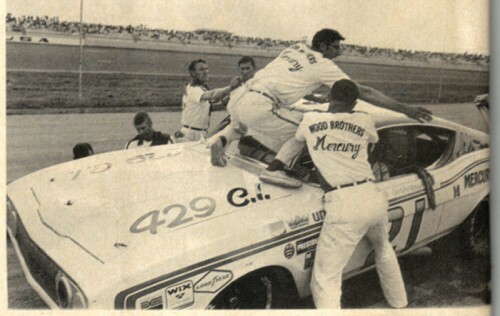 OK its been buggin' me that this sticky hasn't been updated in over 15 months, so in the interest of not letting a good sticky lose its sticky-stuff, here's some additional '68 thru '71 Mercurys pulled-in from all over the place. Maybe this will eventually become the one-stop shop for all yer Cyclonic needs! 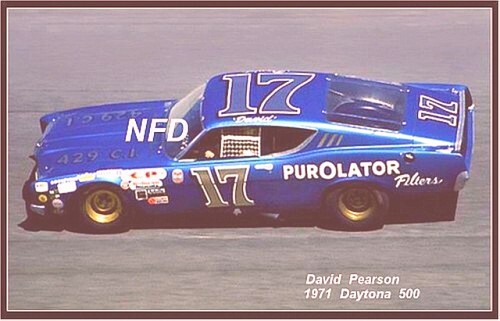 Just found a better quality photo of Pearson's Merc. Do-do dit doo, Do-do dit doo, Elmo's World!! My son thinks Elmo is red and fuzzy... what does he know, he's only a little kid! 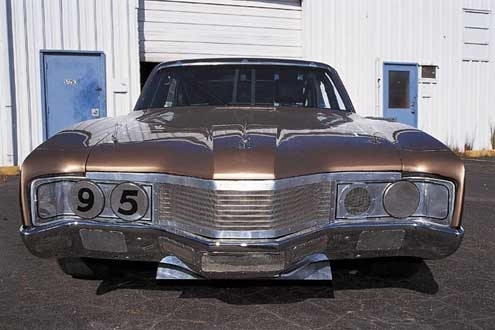 MODELER'S NOTE: This photo shows the correct hood config. 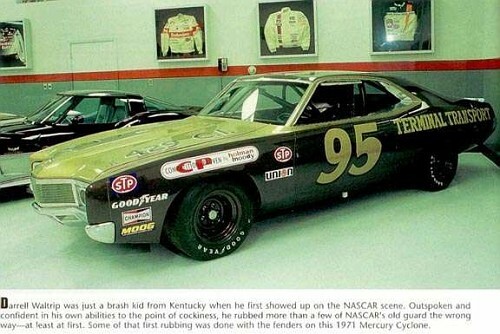 for the '69 SpoilerII. Compare to your Polar Lights hoods. TRUXMORE!! It ain't just for Torinos anymore! 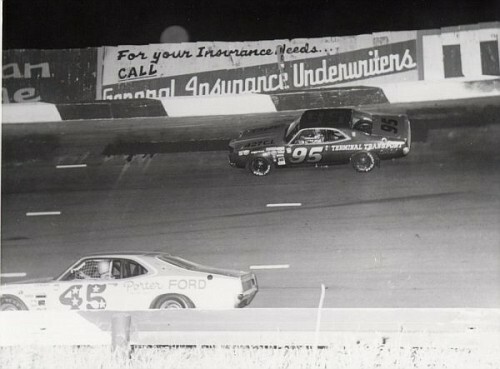 Look who's dominating Riverside... and uh-oh could that be a certain Bud Moore Torino, and a certain Holman Moody Pepsi Torino playing catch-up?? NOW FOR ALL THE UBER-MODELERS OUT THERE, AND YOU KNOW WHO YOU ARE... HERE'S A SET OF PHOTOS OF DW'S '71 CYCLONE WITH SOME DETAIL SHOTS, TAKE NOTES, THERE'S GONNA BE A QUIZ! 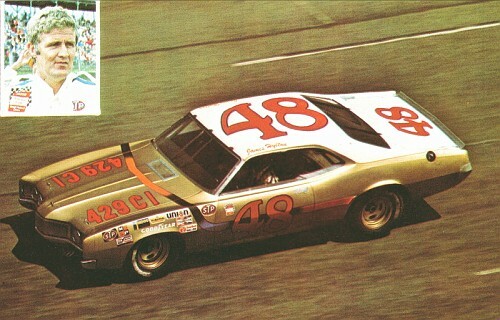 NOW I don't know who convinced DW that this would be an attractive paint scheme, but the following photos depicts his then 2 year old "beauty" as it looked in 1973! Posted 9-23-07: Found some additional photos of DW's Cyclone. 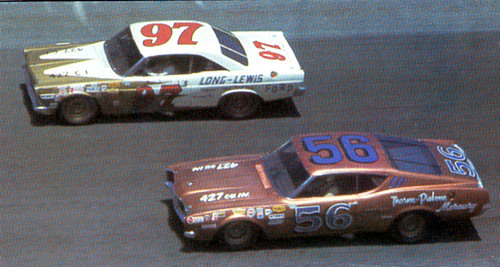 Note how the lettering style of the car numbers seems to change with every race. 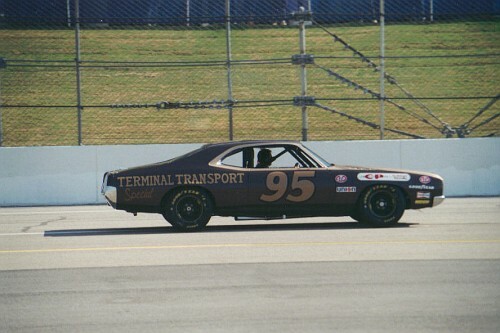 Bernie sent me this photo of Wendell Scott's Cyclone. A big improvement over the one I had on file. Merci Bernie! Well that's it for now, I'll edit this as more come in... feel free to jump in with comments info and photos all help is welcome!! 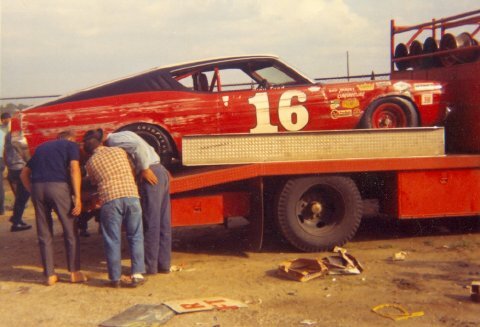 Here's the start of a list of discussion links on the '68-'71 Cyclones etc. Many additional photos will be found in these articles, since they can be accessed via these links, no attempt will be made to duplicate them here, unless someone believes that to be useful. Then by all means, feel free to move them at will. WHEN THE NEW CYCLONE ARRIVES, WHICH VERSION ARE YOU DOING? 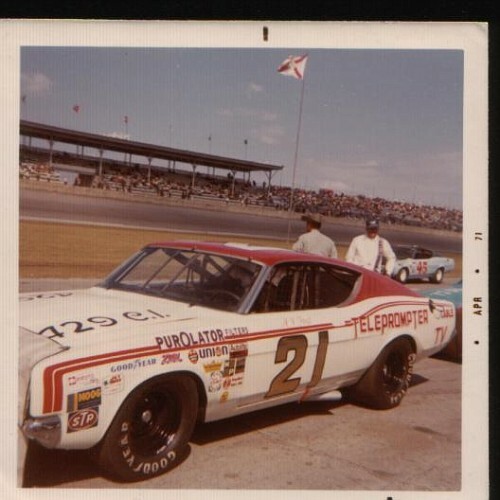 PEARSON #21 DECALS... WILL BSR RUN MORE? 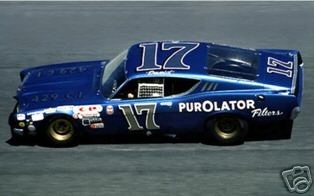 ISSUES W/ PUTTING AN MPC MERC BODY ON A PL TORINO CHASSIS? WHEN'S THE NEW MK CYCLONE DUE OUT? 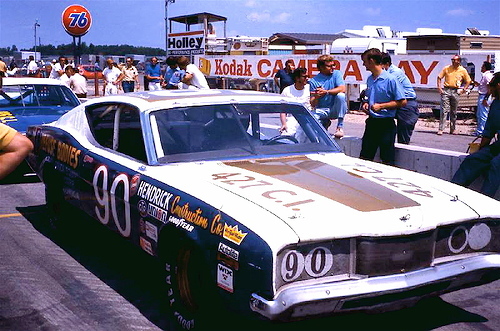 LEE ROY YARBROUGH LAST RIDE, KNOWLEDGE ANYONE? 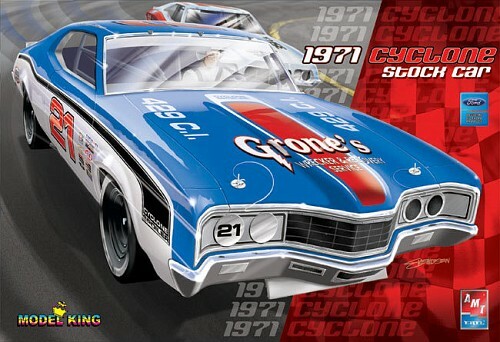 WHAT DECALS WOULD YOU LIKE FOR THE '71 CYCLONE? 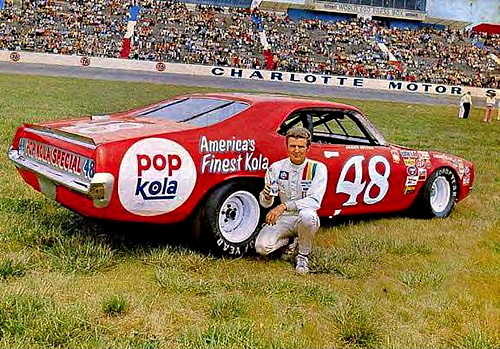 OK,... WHO'S DOING THE DECALS FOR THIS ONE?????? ANYONE MAKE A "W" NOSE CONVERSION? 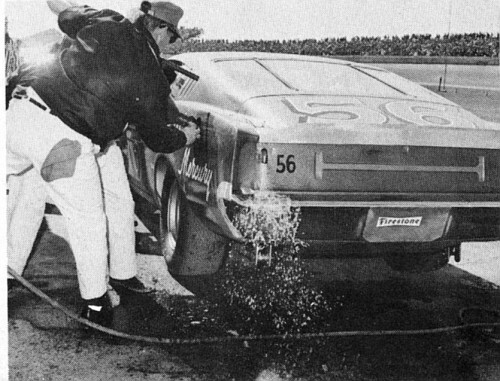 DID WENDELL SCOTT DRIVE A 70/71 CYCLONE? This is about half the links I found on this site. I'll be rooting out more as time allows. If you check in and find links that aren't labeled that just means I've found some and haven't labeled them yet. ALL links will be labeled to allow easier access to the topics you want. I'm glad you posted this one Bill. Thanks. Its a great photo and its actually in one of the discussion threads posted above. 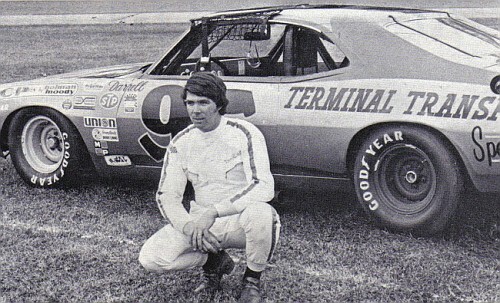 Modelers should compare and contrast this photo to the head-on shot of DW's Cyclone and note the subtle differences in the way the 2 cars were set up. 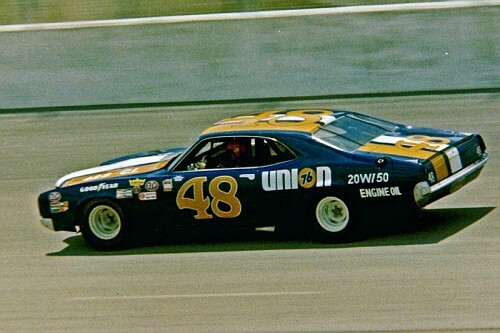 One thing I noticed is that DW's car has sheet metal installed between the upper grille/ headlight panel and the hood, as well as on the lower portion of the grille above the bumper. 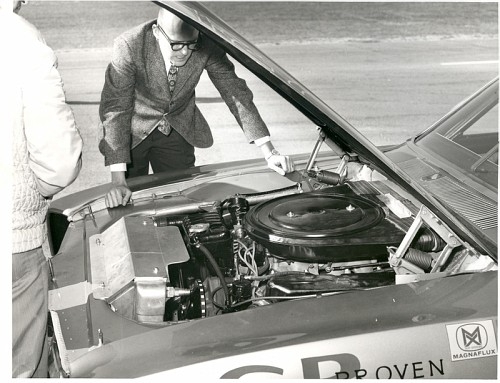 This sealed off the engine compartment from ram-air getting up under the hood causing turbulance and disrupting the car's optimum aerodynamic profile. 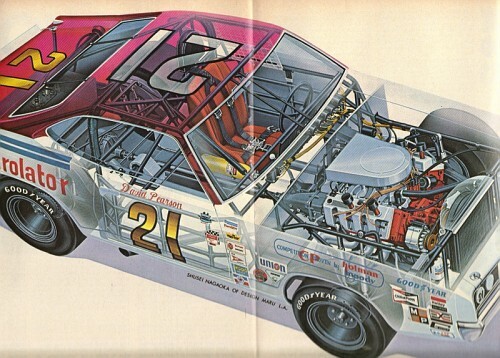 The Wood Bros car lacks this feature. 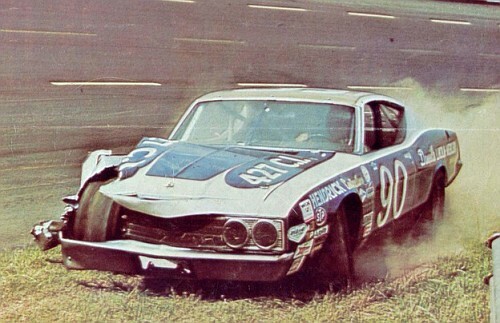 Also DW's car has a small air dam under the bumper. 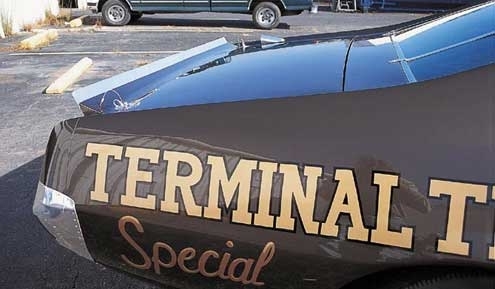 Can't tell if there's one on the WB car due to the shadow. 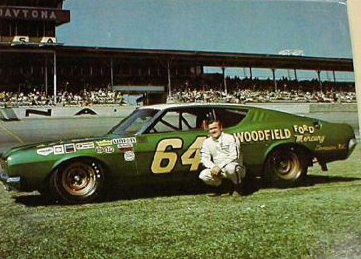 I'd like to thank Wade for his perfect timing when he inquired about FoMoCo 427s. I'd also like to thank Ancient Modeler for posting the excellent photo. 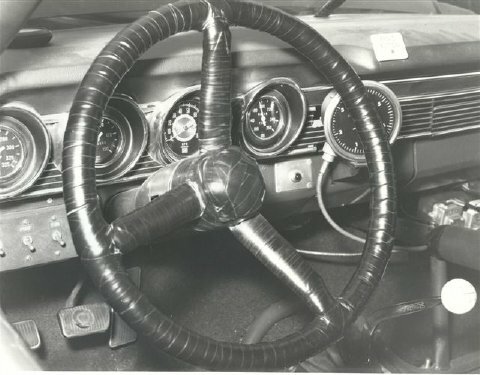 Here's a photo of one that's installed in a '67 Fairlane, thanks again to AM! 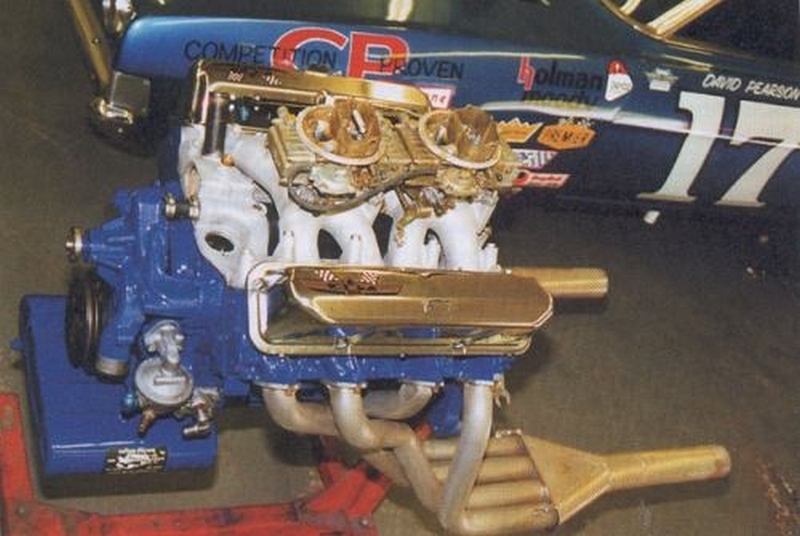 That engine shown is good for the '67 up Fairlanes/Torinos/Cyclones. 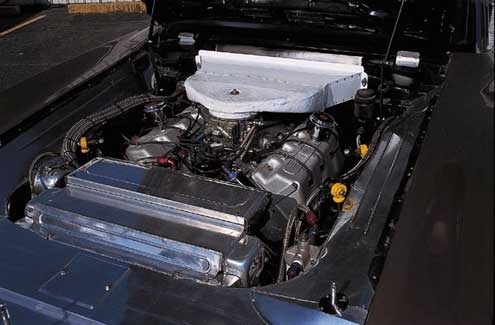 And for late '66 Fairlane with a nontunnel port intake, and ditto for late '66 Galaxies with out the t-pan. OK Gang here's another update. Courtesy of Scott (MrBlackwell17) I'm able to include some great new photos of DW's Cyclone including his orange and white #48! 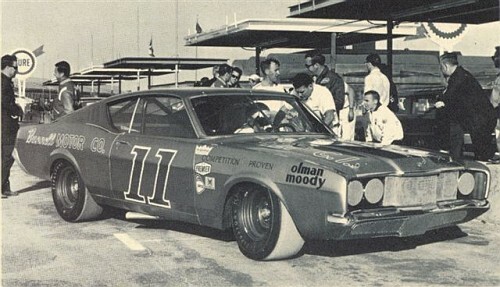 Also at the bottom is a link to the current (as of Dec.12, 2007) discussion on the '71 Cyclone which has a lot of merit. Also be sure to check out the previous discussion links listed above. NOTE: THE PREVIOUS LINKS WERE NO LONGER SUPPORTED. I UPDATED THE LINKS TO THE ORIGINAL 6 PHOTOS AND ADDED 4 MORE. SORRY ABOUT THE EMPTY BOXES. 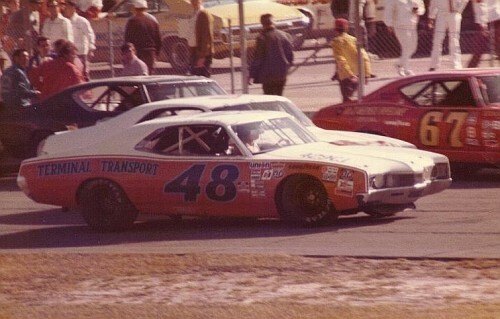 The 5 photos of the orange and white #48 Mercury were taken at Daytona in the 1974 Permatex 300. Looks like Deedubbyuh's day ended a bit early when he got together with Jimmy Means! 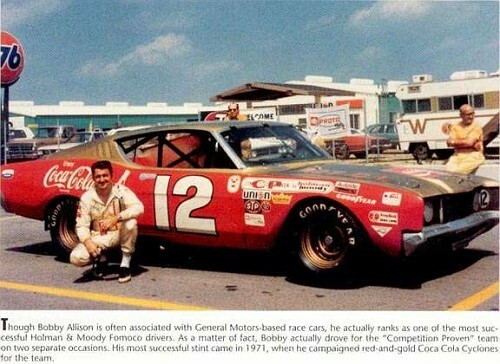 This is a recent photo taken at Talladega when the car was brought out of Deedubbyuh's museum to partake in a few ceremonial tribute laps around the track. Location: A Swede living in Glasgow, Scotland. 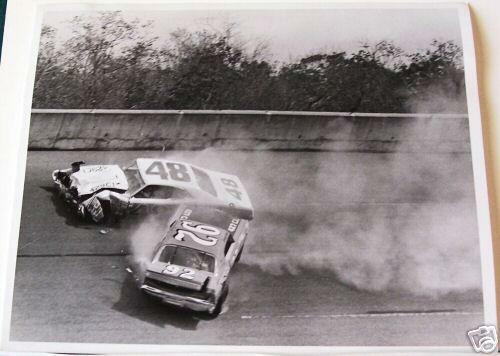 "Driving a Nascar is like dancing with a chainsaw". 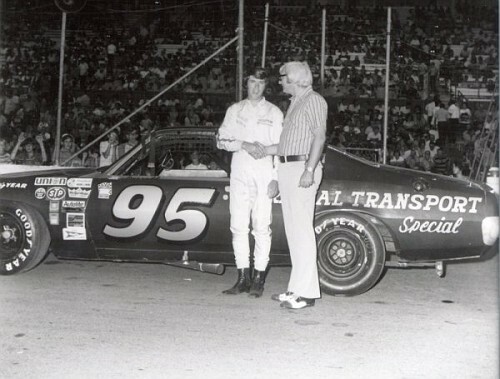 "There is only one lap you want to lead, and that is the last one"
"Why did I take up racing? I was too lazy to work and too chicken to steal"
"There's no bigger surprise than to be tooling along at 200 MPH and suddenly get hit from the rear"
Had a little time last night to poke around these stickies and thought I'd add some more photos. 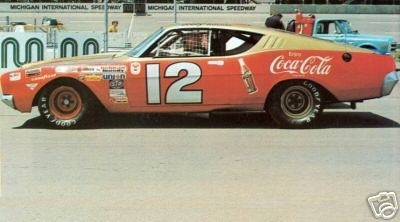 After all DW wasn't the only driver to field one of these things! 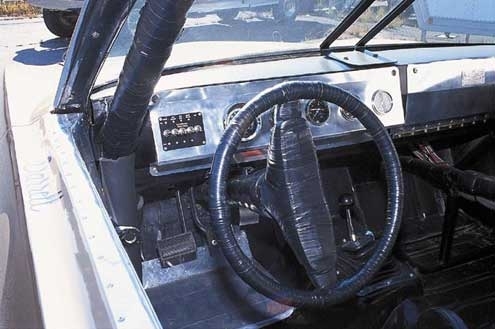 Here's a nice photo of the interior "cockpit" area. Well its been a while since we've added anything here and today I don't have a lot but what I do have is one obscure 68 Cyclone! 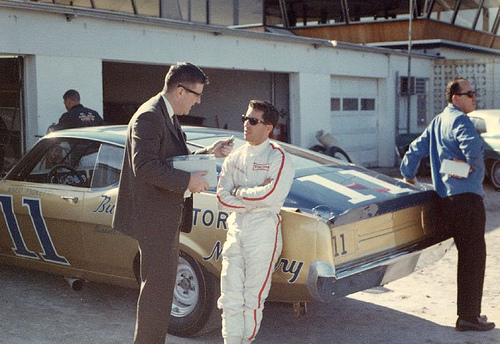 2 photos: Hurtubise making pit stop, and after wrecking in lap 123 in the '68 Daytona 500. 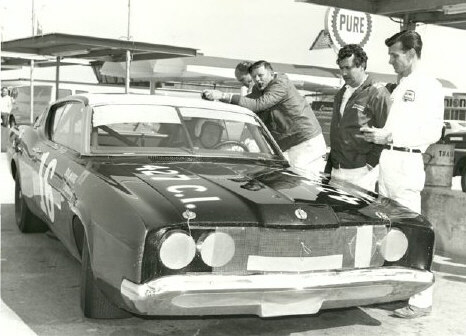 This Merc was fielded by Tom Pistone and Jon Thorne for only 5 races in 1968. 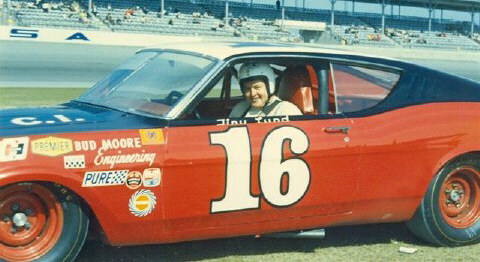 I found the photos while doing research on the Fairlane that Thorne fielded with Donnie Allison in 1967 after he switched from the Dodge and Yarbrough left the team to drive for Bud Moore. 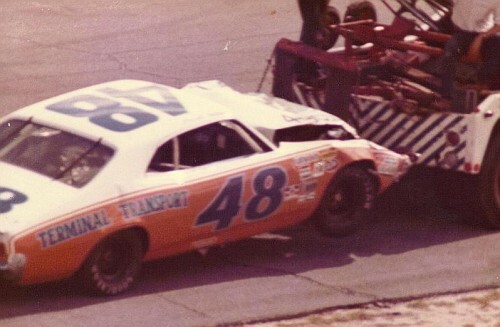 Of the 5 outings, Pistone drove it 3 times, Balmer and Hurtubise once each. According to discussions amongst some of our Board members here, the car wore blue paint with a red roof, (this from video footage of the car) and another says the car had a copper colored roof the time he saw it (in person). Hopefully more will come to light on this car. I can totally relate to computer problems. My computer would not come on after I came home from a trip. I had a complete backup, only problem was the backup has a password that I couldn't seem to get right. After about a week of going without all my real files, I tried some more troubleshooting and found that one of my memory sticks had gone bad. I replaced all the memory with more and all is well. I even managed to get the password off the backup so if ever needed again, I can get there too! Whew! 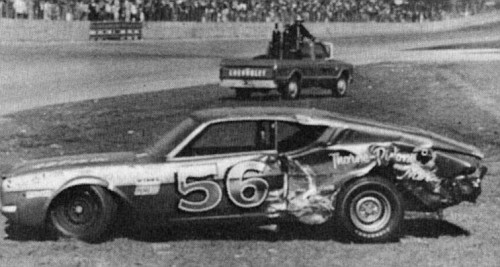 These 2 Photos show "Tiger" Tom Pistone at the wheel of the #56 Jon Thorne Mercury. 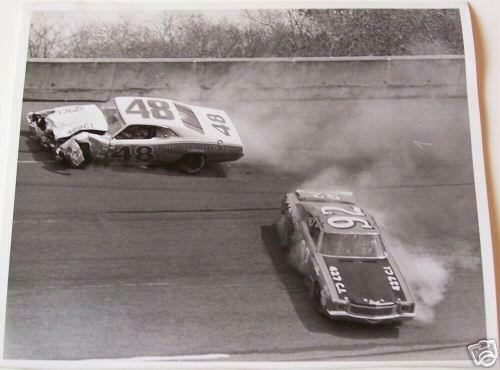 The lower pic was taken at the Daytona 500 in 1968, not sure about the upper one. 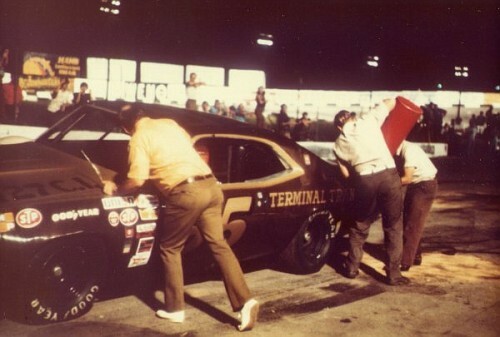 Here we have a pit stop for Leroy Yarbrough in his Spoiler II.